Watching the film trailer for '43' is a chilling reminder of why we do this, why we keep going without pay, why we do the work, spend the time, spend the money, take the risks. It is why we don't stay home. 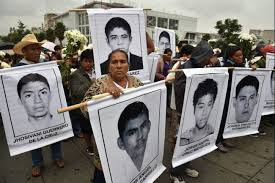 People die, people go missing, and it is up to the un-paid, the un-bought journalists, those who have not been corrupted by salaries and power, to continue the work. Year after year, these journalists, now for 10 years, have kept going at Censored News. 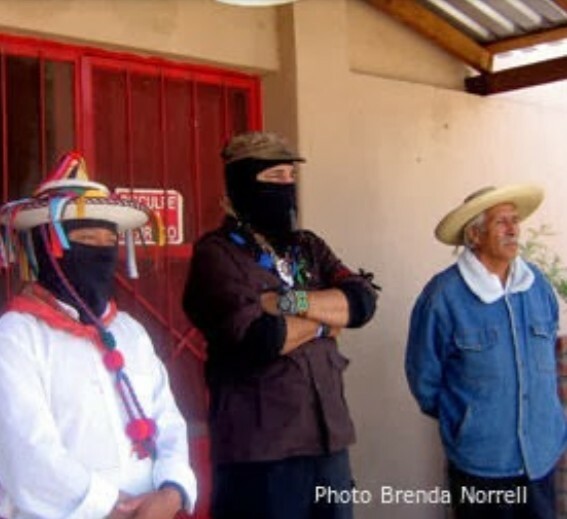 Earlier, those of us on the Zapatista caravan through Mexico, with Marcos and the Comandantes, had the honor of being in Iguala, Guerrero, Mexico. We know the power and the strength of the people there. We know why the corrupt in Mexico attempted to extinguish the light of these 43 future teachers in Guerrero. On the Zapatista caravan, in Michoacan, a young Nahautl warrior from Guerrero, who only had one leg and was in his twenties, hopped on board our bus from Sonora, with O'odham, Yaqui and Mayo leaders. Our Nahautl friend hopped, aided by a wooden stick for a cane. He volunteered immediately for the security detail. When I asked him why he was on the caravan, he said, "We have no food at home." Now, the world has not forgotten the missing 43. The upcoming film '43,' to be shown in theaters continues to tell this legacy.